Driving ahead as the most sought after luxury car brand in the world, Bentley also swiftly shifts gear to lead as the foremost fragrance brand by launching Bentley Momentum. Joining Bentley for Men and Bentley Infinite, the luxury automotive brand’s third pillar matches an assertive, bracingly masculine fragrance with a sleek, modern presentation. Keeping up with the highest standard of Bentley cars, the new, forceful composition has been created by the renowned master perfumer Nathalie Lorson. Contrasting aromatic freshness with potent, vibrant woods, the new fragrance is offered in two intensities. Bentley Momentum Eau de Toilette and Bentley Momentum Intense Eau de Parfum, each deliver its distinctive olfactory design. 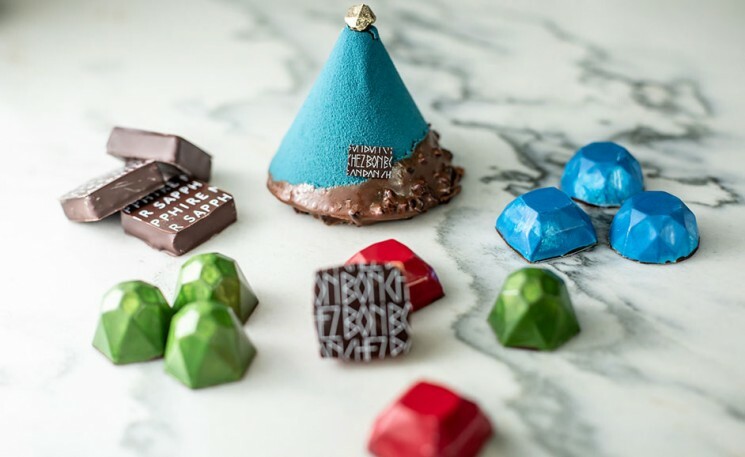 The Momentum notes include Bergamot, Aquatic Accord, Green Violet, Clary Sage, Ambergris, Cashmere Wood, Jasmine Petals, Sandalwood, Tonka Bean, Moss and Musks. The Intense edition builds up the intensity of the composition with new ingredients that include Bergamot, Elemi Essence, Lavender Essence, Geranium Essence, Tonka Bean, Ambergris, Ambery Wood, Sandalwood and Musks. Bentley Momentum’s bottle design is inspired by New York’s soaring, vertical skyline. Tall, rectangular and faceted, it is made of luxuriously heavy glass. The front and back are covered with silver brushed-metal plates, printed with the iconic “Flying B” Bentley logo and the name of the fragrance. The rounded metal stopper is entirely embossed with Bentley’s signature knurling. The same knurling motif also adorns the top and sides of the box to complete the look. 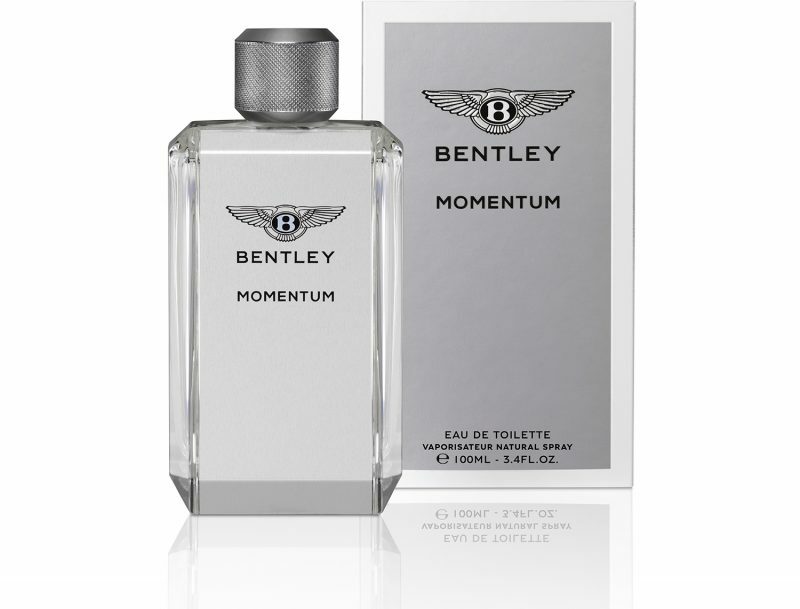 While Bentley Momentum EDT (100 ml) is up for $73, Bentley Momentum Intense EDP (100 ml) sports a $86 tag. 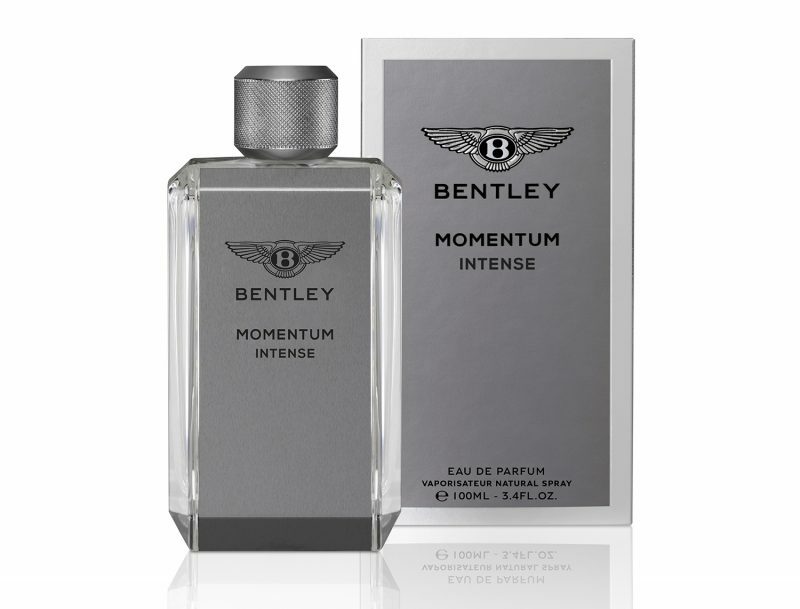 And the Bentley Momentum Intense EDP (60 ml) is available for $61. The automaker also offers Bentley Momentum Hair and Body Shampoo (200 ml) for $29.